Keep up to date with us on our parent Facebook page! Ask questions, share photos, and more. Search for the group "Spring Valley Band Parents"
Charms is our system that allows us to track student information, instrument inventory, booster financial records, and much more. You can see your outstanding band fees through your Charms login. If you need any help with your login, please email Mr. Allison. Please click on the Charms logo to access our Charms Account Program. 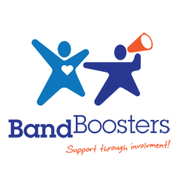 All band members are expected to help in fund-raising their fair share. We simply cannot have the type of program we desire with district funds alone. It is important to do your fair share by taking orders and turning money in on time. Parents who do not wish to participate in fundraising may make a contribution equal to the fundraising goal. Click here for Fair Share payment information.